Romeo Soft F by Flos is a floor lamp that creates a special ambience. A special feature of the lamp is its shade. 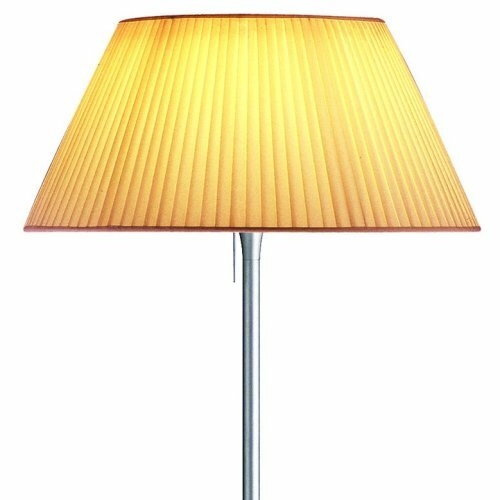 Made of cream-coloured pleated fabric it is reminiscent of lamp shades of the 1970s. This classic shape designer Philippe Starck combined with a simple lamp body in silver grey colouring. This interesting contrasting of different designs creates a harmonious and appealing new style. Thanks to its neutral colour schemes, the lamp fits in different colour schemes and can become a part decorative and appealing of various room designs.